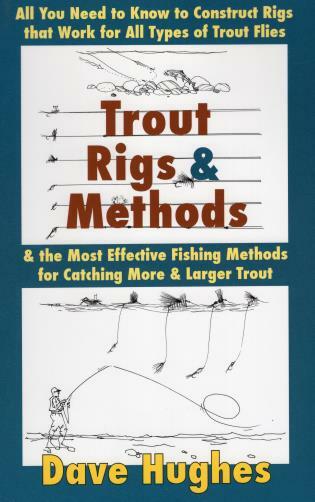 Dave Hughes's clear and simple instruction and explanation describes 18 trout rigs and 81 methods to fish them. In moving water: rigs and methods for dry flies and emergers, nymphs, wet flies, streamers, and dry flies and droppers. In stillwater: dry flies and sunk flies.Fly fishers learn the specifics of the rig--types of fly line, lengths and tapers of leader and tippet, the flies, and split shot, putty weight, strike indicators, droppers, point flies, and indicators--and the full array of methods to present the rig to the trout. Hughes's lucid text is teamed with hundreds of instructive illustrations, including those showing how the trout views the fly. The more rigs you learn to construct and the more methods you learn to apply, the more situations you'll solve, and the more trout you'll catch. Dave Hughes is a highly respected fly-fishing writer with more than two dozen books in print, including Trout from Small Streams: 2nd Edition, Handbook of Hatches: 2nd Edition, and Trout Flies. He lives in Portland, Oregon. Dave Hall is a nature and fly-fishing illustrator in Glide, Oregon.